A great replacement for in-water lifts, the Roll-n-Go boat ramp kits are the cost-effective alternative to docking your catamaran. Easy-to-assemble and efficient to use, the kit will keep your boat dry and safe from damage as well as easily accessible for use. Simply roll your watercraft on and off the ramp for use. This 60 lb. 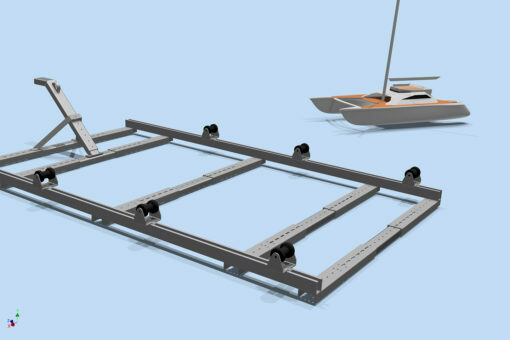 ramp kit is designed to hold Catamaran boats up to 750 lbs. 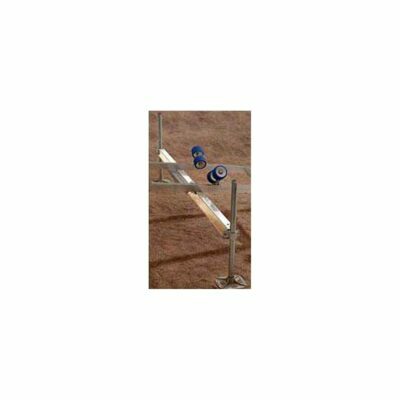 Made of stainless steel with adjustable track width, extensions are available if needed for longer water crafts. The standard 1100-lb. winch with a 30’ strap with a standard boat hook is also included with a crew-in ground anchor for further stability. 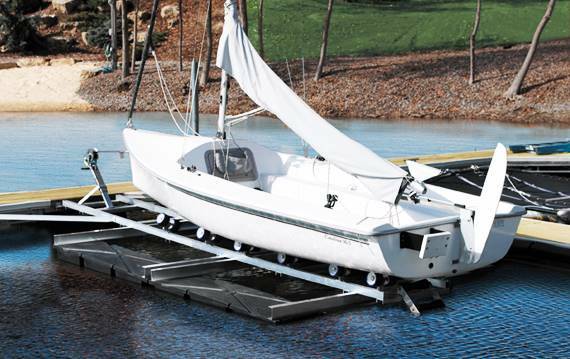 This boat ramp kit is both effective and head-duty so that your catamaran can easily be stored on the shore securely. Handles boats up to 750 lbs.